Professor Bernard Tan Tiong Gie was awarded The President's Medal for outstanding contribution to Physics research & education in Singapore. Assoc. 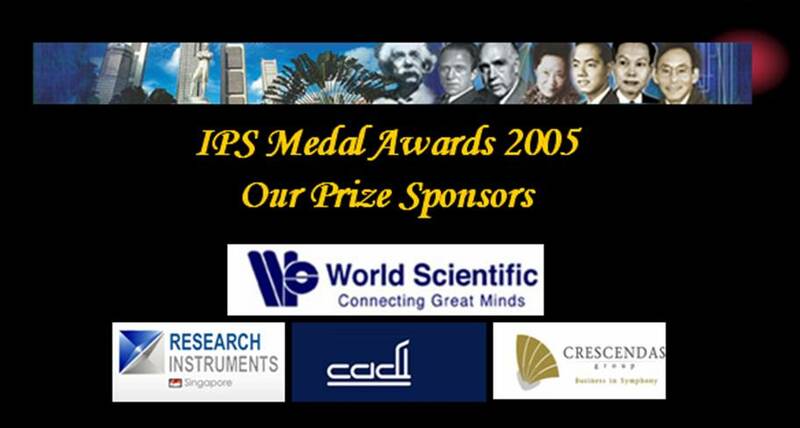 Professor Mark Breese was awarded The World Scientific Medal and Prize for outstanding contribution to Ion Channelling Microscopy Research done in Singapore. Assist. Professor Peter Ho Koon Hoon was awarded The Omicron Nanotechnology Physics Medal and Prize for outstanding Nano-Physics research done in Singapore. Ms. Ning Hwee Tiang was awarded The Outstanding Physics Teacher (Secondary Schools) Crescendas Medal and Prize for her contribution to physics education. 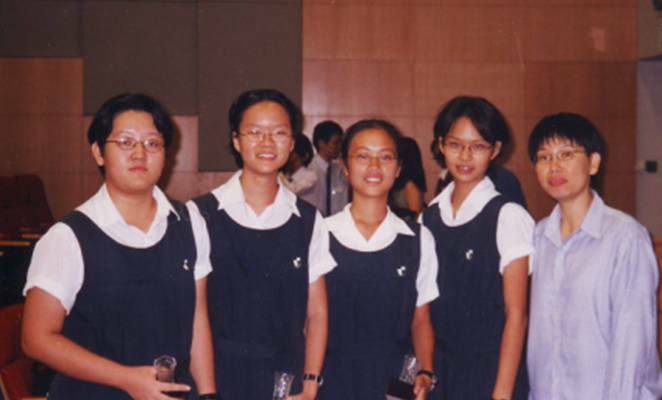 Ms. Ning is at extreme right with Professor Jocelyn Bell, her RGS students, Ms. Sun Yi and Ms. Hannah. Professor Bell is the discoverer of pulsars. Mr. 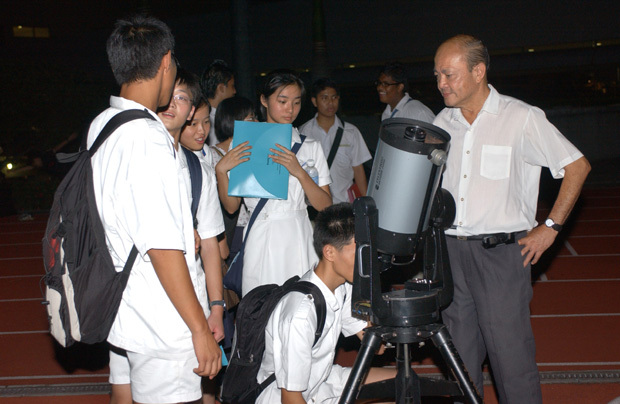 Au Mun Chew awarded The Cadi Scientific Medal and Prize for outstanding contribution in generating Singaporean public awareness of Physics through the medium of Amateur Astronomy. Professor Paul Davies, Templeton Prize Winner. Professor Robert B. Laughlin, Nobel Laureate. Professor Carl Weiman, Nobel Laureate.